Starting a small business is an adventure. Just think: Your great idea for a product or service could make you financially independent, employ others and be a lucrative asset to pass down through your family for generations. So, it makes perfect sense that you want to nail down your business entity from the get-go to pave the way for a successful and rewarding enterprise. Entrepreneurs are by nature creative risk-takers, but the early stages of forming a small business require that you take five and prepare for those inevitable bumps in the road. But it’s really very simple: just focus on what you’re starting with and where you want to go. Your business entity choice will then come down to a few factors: taxes, liability and business records. Are you going solo on the small business route? A sole proprietorship is the most common business entity, probably because it’s so easy to put together and allows you complete control over everything. If you want to limit your liability, however, or make a more solid pitch to investors, a sole proprietorship might not be the right business structure for you. It’s not a bad start, however, and you can switch to a new entity later. Starting a business with others? A partnership business entity recognizes the team effort and lowers your taxes a bit--the business can avoid paying taxes on profits by passing them through to the owners to report individually. 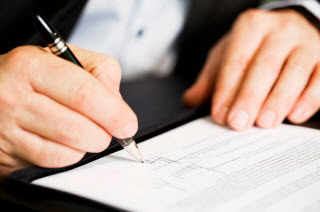 Like sole proprietorships, this is the easiest partnership structure to put together, but it doesn’t protect the owners from financial liability for the debts and actions of other partners. Still, when two people with similar skills and assets want to join forces to make money, a partnership can be a great way to qualify for more credit, save on taxes and drum up business. Are you starting a small business with investors and contracts already lined up? You might consider selecting corporation as your business entity to protect your personal assets against any debts or lawsuits against the business. Depending on whether you select C-corporation or S-corporation status, you’ll have a wider range of tax options that could limit your tax liability. This puts the corporation at a distinct advantage over sole proprietorship and partnership entities, but the tradeoff is the time needed for ongoing record keeping and paperwork. Last but not least is the LLC, or limited liability company. This is a relatively new form of business entity which sort of walks the line between partnership and corporation. With the liability protections of the corporation and the partnership’s flexibility and tax benefits, the LLC is ideal for consultants and real estate investors, for example, who like the simplicity and don’t necessarily need to impress investors. As you start your small business, nailing down your business entity will not only make it easier for you to reap the upcoming profits and rewards, it will help you wrap your mind around where you want your dream to take you. Check out Rocket Lawyer for more guidance on choosing your business type and to incorporate for free. At Rocket Lawyer™ we believe everyone deserves easy and affordable legal services, which is why we’re proud to support the great work of SCORE. 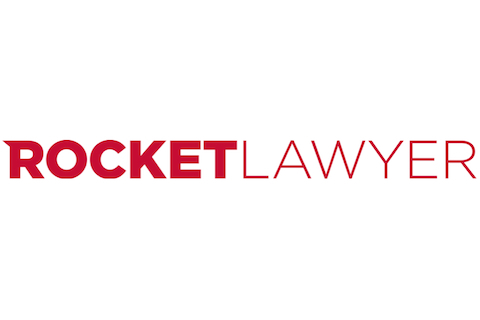 Rocket Lawyer™ was founded in August of 2008 to make legal services easy and affordable for everyone. With Rocket Lawyer, users can easily create customized legal documents that can be downloaded and shared instantly. Legal plan members have access to free document reviews from local attorneys and receive deeply discounted rates on legal services for more complicated legal needs. Lawyers can access easy online marketing tools and targeted client referrals.